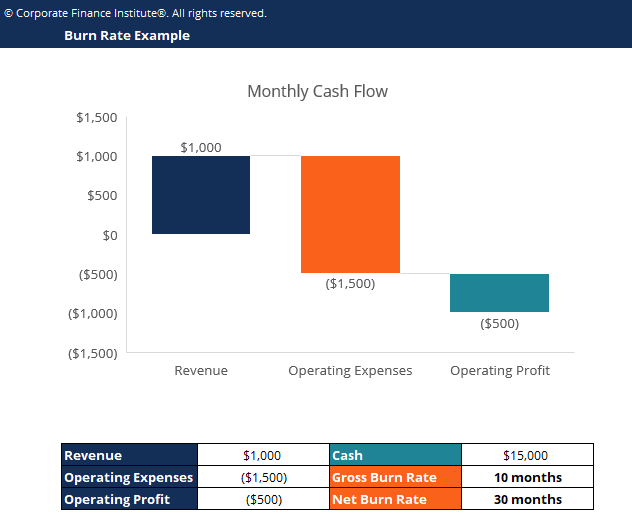 This burn rate template demonstrates how to calculate the gross and net burn rate of cash of a company earning negative profit. Net Burn Rate is the rate at which a company is losing money. It is calculated by subtracting its operating expenses from its revenue. It is also usually stated on a monthly basis. It shows how much cash a company needs to continue operating for a period of time.